Oregano Tea To Heal Cough, Sinusitis, Asthma, Bronchitis, Rheumatism, Infections And More! Oregano is an important culinary and medicinal herb that has been used since ancient days, with many powerful health benefits. Oregano is a perennial plant belonging to the mint family, Lamiaceae. The chemicals that give the herb its unique and pleasant smell are thymol, pinene, limonene, carvacrol, ocimene and caryophyllene. Due to its potent antioxidants, antibacterial, anticancer and anti-inflammatory properties, oregano has many possible health benefits. Vitamins A, C, E and K, fiber, calcium, niacin, manganese, folate, magnesium, iron, and the carotenoids lutein, zeaxanthin and cryptoxanthin are all found in oregano. Its antioxidant power and proven disease prevention is incredible. This fragrant Mediterranean herb can help the body to detoxify, thus is beneficial to remedy many ailments including balancing the hormones. Listed at 175,925 for oxygen radical absorbance capacity or ORAC value, oregano has one of the highest antioxidant activity ratings, which is excellent for neutralizing free radicals. To get the full impact, oregano packs more than 42 times the antioxidant punch of apples. Flavonoids include the carotenoids lutein, zeaxanthin, and cryptoxanthin. Dried oregano contains a multitude of constituents, including approximately 3% volatile essential oil. In addition to the volatile oil, the other constituents include borneol, rosmarinic acid, triterpenoids, which are ursolic and oleanolic acid. Oregano’s warm, aromatic flavor works well with many foods (not just Italian). Try adding it to your salad dressings, vegetables, or eggs, for starters. Beyond this, one of the best uses for oregano in your cooking is adding it to meat prior to cooking, which may help reduce the toxic compounds created during the cooking process. Oregano can be administered in many ways to obtain its beneficial effects. You can use fresh or dried oregano leaves, in its oil form, or taken as tablets as a supplement. A common way to administer oregano is by steeping a tea. The tea can be made with fresh or dried oregano. Approximately 1 to 2 teaspoons, which is 5 to 10 grams, should be steeped in a cup of hot water for approximately 5 minutes. The recommended dosage of this tea is up to three times daily. Oregano oil can be applied topically for treatment of microbial infections, such as athlete’s foot or other fungal based infections. The oil needs to be diluted by 50% or more prior to application and it can be applied twice daily. Read more about the amazing wonders of oregano oil here. Oregano can also be taken as tablets, enteric coated tablets or capsules, which can be purchased from herbal supplement stores or online. Oregano capsules and tablets will disintegrate in the stomach, whilst enteric coated tablets will disintegrate in the intestines. Oregano has extremely high levels of antioxidants and antimicrobial compounds. It is a powerful parasite fighter. One teaspoon of oregano has the same antioxidant power (ORAC) of two cups of red grapes. It contains the phytochemical quercetin, which is known to retard cancer growth and also promote apoptosis (or “cell suicide” in cancer cells). A new study published in the Federation of American Societies for Experimental Biology highlights the cancer fighting effects of one of the main components of oregano called carvacrol. While some research has been done previously on the herb’s medicinal properties, this is the first study of its kind to study the effects of carvacrol on prostate cancer. 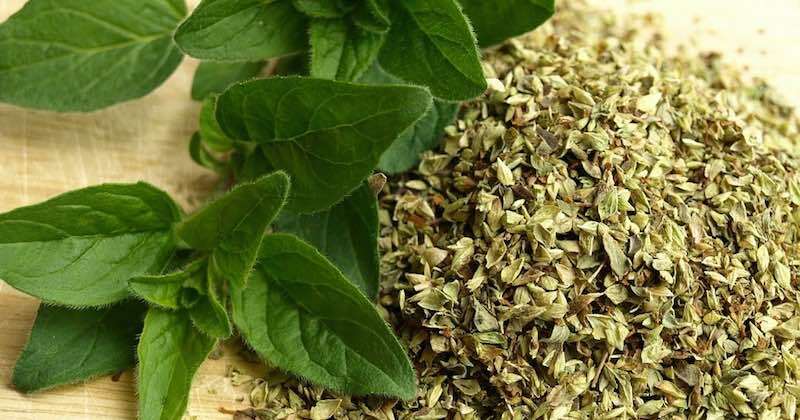 “Oregano has been studied quite a bit,” said lead investigator Supriya Bavadekar, assistant professor of Pharmacology at Long Island University’s Arnold & Marie Schwartz College of Pharmacy and Health Sciences. “There are so many beneficial effects such as antibacterial properties and anti-inflammatory properties. There is also some literature that shows this compound has some effects against breast cancer and other cancer cells. Bavadekar’s team is still running tests on carvacrol, but preliminary reports have revealed that the compound is an extremely potent anticancer agent—eliminating nearly all the prostate cancer cells it was tested against. 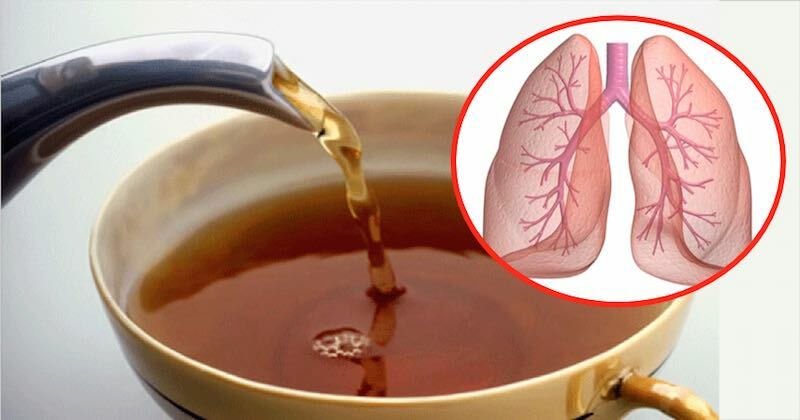 Make This Oregano Tea And Drink Daily To Heal Cough And Cold, Sinusitis, Infections, Chronic Asthma, Rheumatism, Bronchitis, Dyspepsia and More! Put pure drinking water in a small pot to boil on stove, turn off heat when boiled. Add oregano leaves and allow to steep for five minutes and cool. Strain the leaves and add honey to taste, if desired. Drink warm throughout the day to reap its maximum benefits. Oregano is a versatile herb, used in many dishes and especially tomato-based dishes such as chilli, pizza and spaghetti bolognaise. It may be used fresh or dried, and has a more concentrated flavour in its dried form. Oregano is a popular herb and is commonly used in Italian dishes. However, I don’t limit it to only Italian dishes. I add oregano leaves in my soups, broths, salads, even in cooking any dishes. I keep a jar of dried oregano leaves that is very versatile and use it as I would cilantro. It adds a mild fragrance to my food while I enjoy all its amazing health benefits. Oregano compliments a variety of meats and vegetables with strong flavours such as those containing zucchini, broccoli, cauliflower, aubergine and lamb. Oregano also works well with other herbs and flavourings, for example garlic, onion, thyme, basil, parsley, and olive oil. In addition to its culinary uses using dried leaves, oregano oil is very useful for fighting off many types of infections, including Candida infections. It inhibits the growth of E. Coli, the bacteria that cause urinary tract infections. It can eradicate yeast infections by taking a few drops of the oil orally. It fights parasitic infections and food-borne pathogens. Topically for athlete’s foot or nail fungus. Try soaking your feet in a basin of water with a few teaspoons of oil, or rubbing the diluted oil (1 drop of oil in a teaspoon of olive or coconut oil) on your nails/skin. Read more about how you can use oregano oil as a natural antibiotic. Oregano is to me the perfect menstrual pain relief, When i have it. I had a severe cough, colds and runny nose for 2 days that I felt so heavy and there is a 10-month old baby in the house. So I just prepared 10 fresh leaves of oregano, put some hot water for 3-5 seconds and squeeze the leaves and drank it. My cough and colds were gone and I feel relief after on hour. Great!